We have been in the fence business since 1991 and in construction since 1978. 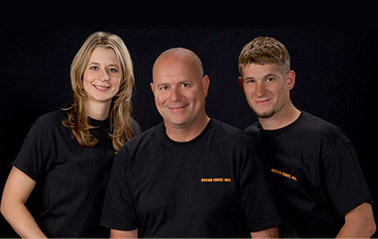 Arbor Fence is a family run business with owner Ron Wooden, his daughter, Genevieve Van Bebber and his son, Wil Wooden. Ron has an extensive background as a steel fabricator, welder and construction manager in the fishing and trucking industries in the Fort Bragg area of northern California where he owned and operated Woody’s Weld-all for thirteen years. He constructed steel hulled fishing vessels, repaired heavy equipment such as loaders, garbage trucks, cranes, logging trucks, mill equipment, boats, trailers and anything that could be welded. He specialized in steel and aluminum fabrication building everything from basic tanks to frames for stained glass for an artists. He sold his first business‚ Woody’s Weld-all (est.1978) in 1990 and moved his young family to Sonoma and purchased Arbor Fence Co. – a one-employee and one-truck company. In less than ten years Ron grew the business to 10 trucks, over 20 employees and holds a long standing reputation in quality; reinforced by his 12th consecutive year earning Diamond Certification. Ron is the sales manager and oversees the job sites. He is also the answer man whenever there is a problem to resolve on a job or something needs to be invented. His children, Genevieve and Wil have been working in the business since they were 16 years old. Genevieve is now the General Manager and Wil runs the welding and fabrication department, is in charge of all gate operator installations and supervises the fence crews. Arbor Fence Inc has always emphasized quality and personal service. We take much pride in being part of the community, not only working for our Sonoma and Napa neighbors, but getting involved in local charity projects and sponsoring various causes.